Father Tom Lawler, SJ, a member of the Marquette University Board of Trustees and provincial of the Wisconsin Province of the Jesuits, signed the petition to recall pro-life Governor Scott Walker. At least 25 Wisconsin Jesuits have joined in the campaign to recall pro-life Governor Scott Walker. 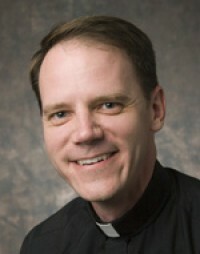 Father Thomas A. Lawler, SJ, a member of the Marquette University Board of Trustees and provincial of the Wisconsin Province of the Jesuits, has joined more than twenty-five other Wisconsin Jesuits in signing a petition supporting the recall of Governor Scott Walker. At least seven of the signers may be Marquette University professors and staff; they each reported residing at the Jesuit residence at Marquette University, and their names match the following University employees: Rev. Robert Doran, S.J., Professor and Emmett Doerr Chair of Theology, Rev. Gregory O’Meara, S.J., Associate Professor in the School of Law, Rev. James O’Leary, S.J., Associate Director of the Faber Center for Ignatian Spirituality, Rev. Grant Garinger, S.J., Artistic Assistant Professor in the Diederich College of Communication, Rev. David Schultenover, S.J., Professor of Theology and Editor-in-Chief of Theological Studies, Rev. G. Harak, S.J., Director of the Center for Peacemaking, Rev. Michael Zeps, S.J., Associate Professor of History and University Minister. The Republican governor, a Marquette graduate with a strong-pro life record, faces a vote to determine whether he gets to stay in office tomorrow. The campaign to recall Walker grew out of his budget-cutting efforts and his fight with the public service unions. Walker significantly reduced their ability to bargain collectively.